As promised, I have a little update on the house for y'all today. After waaaaay more debate than one would think necessary, hubs and I decided to revert to our first choice that we selected initially, the Santa Cecilia. While I liked that the Giallo Napoleano's "blotches" were more spread out, appearing less "busy" than the Santa Cecilia, I couldn't get over the orangey/peachy/gold tones in the Giallo Napoleano. I will mention that our PM gave me something new to worry about though: veins. He said sometimes the Santa Cecilia has a huge rust-colored vein running across the entire slab, most noticeable on large island countertops (such as the one we'll have in our kitchen). So I've officially started holding my breath over the "vein" issue. 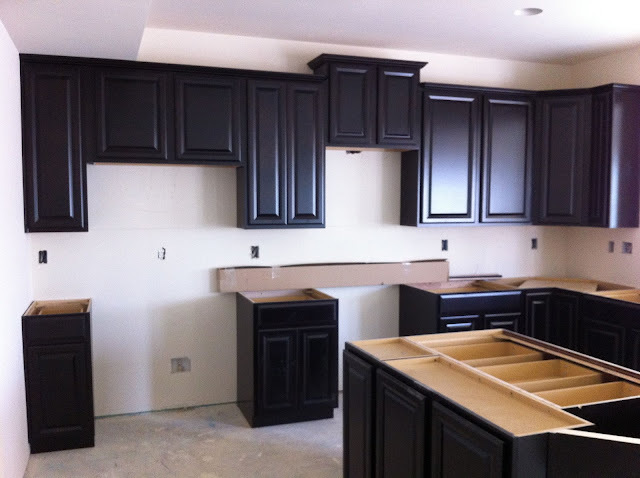 We should have the granite installed in the next week or two, so here's hoping! OH! 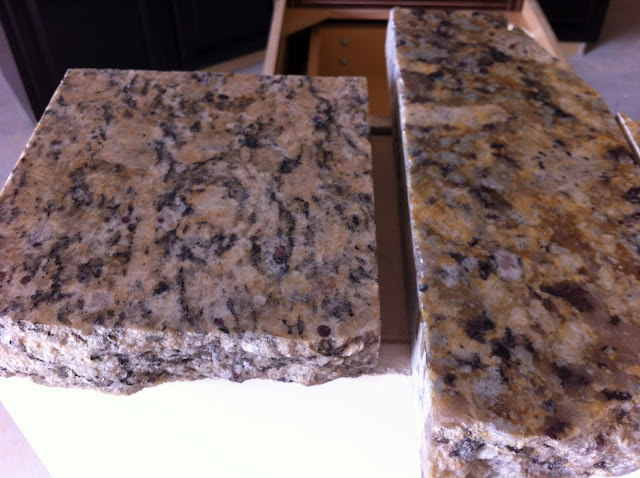 And a special shout out to my Facebook friends and Twitter followers who shared their opinion on which granite they liked best. Y'all set my mind at ease knowing you all preferred the Santa Cecilia since it just so happened to be the one I had chosen! PUH-LEAZE tell me you saw it. OhMyHeavens. I can't get over the fact that the garage door handle is NOT CENTERED on the garage door! Who does that!? 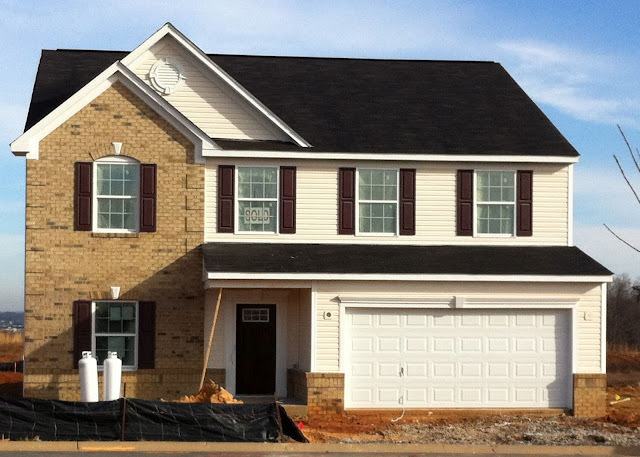 It looks like they were supposed to cut the door down the middle and use it as a single-car garage door. WHY oh WHY wouldn't the handle be in the CENTER of the door like God intended??? I know it seems VERY nitpick-y, but seriously folks, we'll be using this garage door EVERY DAY for the next 30 years!!!! The worst part is that we have yet to see ANY garage door with this issue in ANY of the Ryan communities we've been to. What gives? Waiting to hear back from the PM on this one. 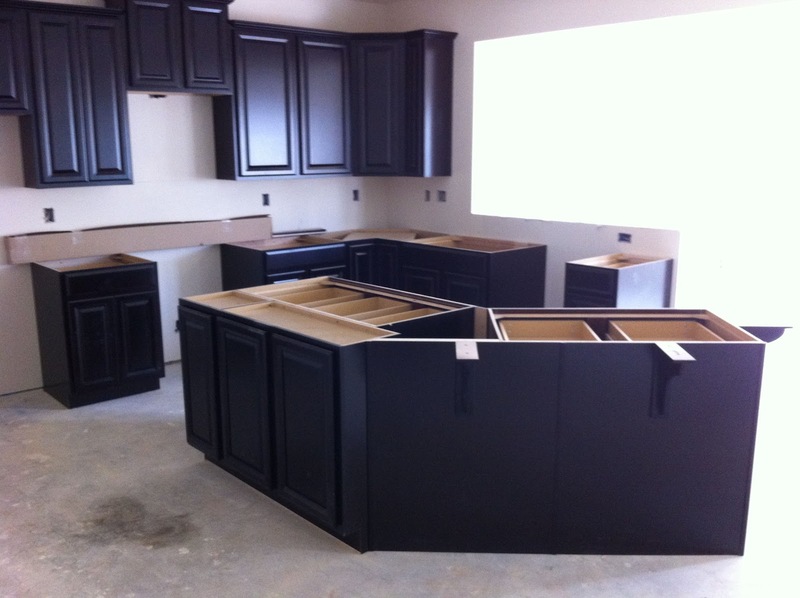 On a brighter note, our kitchen cabinets were installed earlier this week! Yay! What's up next? The interior doors and trim were put up yesterday and will be finished today, then they'll start painting the final coat of paint inside the house. Next week we should see flooring start to go in! Fun! Love the update...things are moving along really quick!!!! Strange place for a handle though!!! Deciding on the correct kitchen countertops is the perfect way to beautify your existing cooking and eating area. When you are feeling the desire to do some refurbishing, this will be one of the main things to consider since you will be working with an existing setup.